The Pan American Health Organization (PAHO) is an international public health agency with more than 110 years of experience working to improve health and living conditions of people in the Americas. 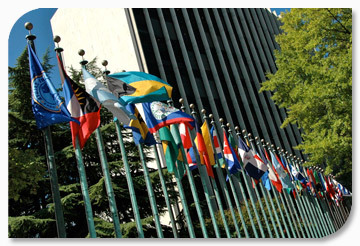 Enjoys international recognition as part of the UN System and acts as a regional office for the Americas of the World Health Organization (WHO). The disasters left a significant impact on public health. Therefore, the Health Emergencies Department of PAHO/WHO is working with countries in Latin America and the Caribbean to reduce both risk and improve preparedness for disasters and response to health issues. Many communities in Latin America and the Caribbean lie in the path of hurricanes, sit at the foot of volcanoes, rest along flood plains and are located in earthquake-prone areas. In the last three decades alone, 160 million people have been affected by natural disasters in this Region. Each year, this number grows at an alarming rate, posing serious challenges to public health and development. … cope with climate change, a worldwide phenomenon that is altering the magnitude and frequency of disasters. A well-prepared health sector can mean the difference between life and death. reach out to institutions, private or public, to create a disaster-resilient community. When disaster strikes, PAHO provides immediate public health assistance, working to assess needs in the health sector. Disease surveillance, ensuring access to health services and monitoring drinking water are a few of the main health priorities during response. ensure that humanitarian supplies and donations are managed transparently and effectively. creating information networks and promoting the use of new ways to communicate, learn and share information among key actors. PAHO is committed to ensuring that hospitals are there when people need them most. An essential lifeline in the community, a safe hospital is one that does not collapse in disasters and continues to function, delivering essential services during and after emergencies. develop national policies on safe hospitals. A quick and effective means of assessing a health facility’s level of safety and determining the likelihood that it will stand up to disasters. More than 20 countries in the Americas have used this tool to identify risk and prioritize corrective measures –the smallest of which can go a long way toward improving resilience. manages all logistics—ensuring that medicines and supplies arrive when and where they’re needed. Hundreds of public health experts are stationed in PAHO/WHO member countries. In emergencies and crises, PAHO harnesses this expertise and deploys a regional emergency response team to meet the health needs of the affected population. are available at a moment’s notice to assess immediate needs and potential risks, provide advice to national and international counterparts, help governments coordinate international assistance and generate data and information for situation reports and funding appeals.